I am currently Assistant Headteacher at St John Vianney Primary School with responsibility for science and Gifted and Talented. However my main role is in relation to the Teaching School, with particular emphasis placed upon the support of NQTs and Initial Teacher Training. I am responsible for coordinating and overseeing the placements of trainees across Hartlepool as well as the overall development of trainee teachers (both PGCE and BA routes) through School Direct and within a partnership with Durham University. My current role has provided me with a wealth of experience relating to ITT. I am confident in the various different routes into teaching which was has led to me speaking at regional Train to Teach events. My current role involves guiding and advising teachers, with varying degrees of experience, in teaching/learning and behaviour management. I am passionate about ITT and raising standards within schools. I am confident in using various technology systems, alongside coaching and mentoring, to help support both trainee teachers as well as those new to the profession. 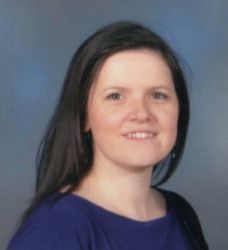 I am an accredited NQT observer and undertake moderation with other colleagues to ensure a consistent approach to NQTs. My other role includes the quality assurance of provision for NQTs as well as providing support for mentors/induction tutors as well as the NQTs themselves. I also coordinate the primary NQT programme of CPD and process all documentation and liaise with the NCTL on behalf of the Appropriate Body.